‘Tayo Ajayi is a Nigerian social entrepreneur with interests in agriculture, girls’ education and governance. He has faced and surmounted diverse challenges in life after spending some time ‘squatting’ round the streets of Lagos. In 2012 Ajayi participated in a leadership training in India, where he was trained in bee keeping and honey production. 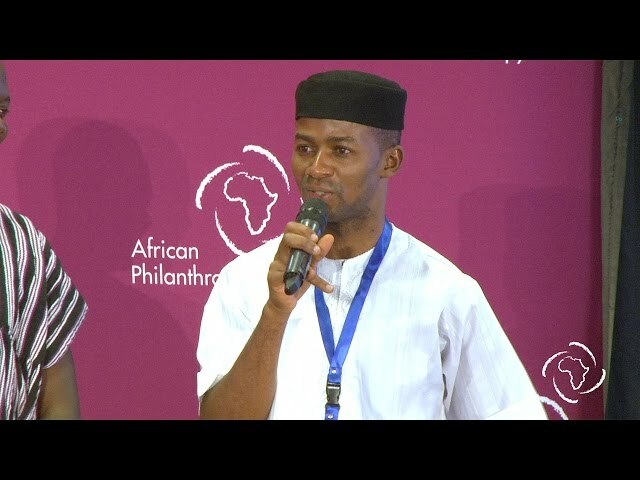 He then returned to Nigeria to start HIVE Initiative, a social enterprise that trains Street Children to become entrepreneurs, using the agricultural processes of organic farming, bee keeping and honey production. Having seen many people experience hunger, Ajayi has an audacious ambition to help one million young people to start agribusinesses within the entire value chain in five years. He hopes to increase food production, create employment and drastically reduce the level of hunger on the African continent. Ajayi is a youth mentor, motivational speaker and very passionate about volunteering. In 2014, he was selected into the Lagos Hub of the Global Shapers Community of the World Economic Forum. He was a panelist on agriculture at the 2014 SHAPE AFRICA Conference and has just been selected as the Hub’s Projects Director for 2015-2016.